With Palace the visitors this weekend, we picked out five points to preview ahead of the clash. With just one win from the last nine, it goes without saying that Palace need to find form soon. However, there’s certainly no doubting the squad’s capabilities, having run Liverpool, Chelsea and Manchester United close. The latter only ran out 3-2 winners thanks to a last minute wondergoal from Nemanja Matic, with the Eagles also able to take confidence from clean sheets over both Burnley and Huddersfield. Crystal Palace’s run in is arguably one of the best of the bottom half. Following Saturday’s game at Vitality Stadium, the Eagles will play Brighton, Watford, Leicester, Stoke and strugglers West Brom on the last day of the season. 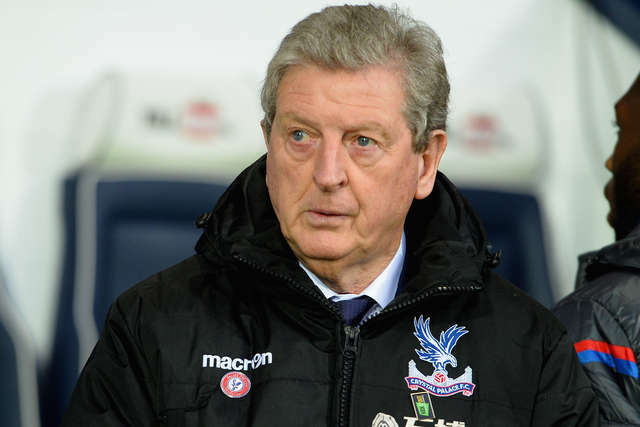 With three fixtures at home, Roy Hodgson can look favourably towards the final stages of the season, but Palace will need to pick up points quickly as they lie just one place above the relegation zone. Previously of the Palace academy, Hodgson started off with the south London outfit as a youngster, but never quite progress to the first team. Now 70 years of age, he returned to club football last September at Selhurst Park, replacing Frank de Boer at a time when the Eagles were struggling with neither a point nor a goal from their start to the Premier League season. 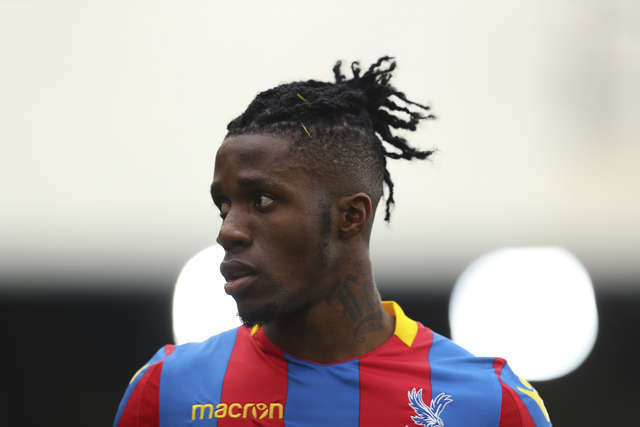 There’s no doubt that Wilfried Zaha is a threat when in form and Palace haven’t won a game without him this season. The winger made his return from a lengthy injury in the Eagles’ recent fixture at Huddersfield, where Roy Hodgson’s side non-coincidently ran out 2-0 winners. In Friday’s pre-match press conference, Eddie Howe revealed that Junior Stanislas will be out for the remainder of the season after sustaining an injury in last week’s game at Watford. Additionally, Adam Smith will remain out, whilst a late call will have to be made on fellow right-back Simon Francis, both of whom picked up injuries prior to the international break. As for Palace, Roy Hodgson revealed that Christian Benteke picked up a knock in training and is unlikely to feature at Vitality Stadium, adding to the list of injuries the Eagles already have. AFC Bournemouth manager Eddie Howe confirms that Junior Stanislas is out for the rest of the season. The midfielder was substituted just before half time against Watford after clutching his knee, and the boss confirms that Stanislas - who had scored four goals in his last eight games - has had an operation. Howe feels he will be a big miss and Adam Smith will also definitely miss the Crystal Palace game - Simon Francis is a doubt. "Junior Stanislas is out for the season," the boss said. "He picked up a serious knee injury against Watford, so we're looking at pre-season or the start of the season to get him back, we're not sure yet. "He's a big miss for us. The medical team worried about his cruciate but it's an anterior injury - the better of the two evils. He's had an operation and we're happy at how that has gone. "Adam Smith will also be out, he's made good progress and we're pleased with how he's getting on. We hope to get him back before the end of the season. "Simon Francis has had a day's light training so it will have to be a very late call on him." AFC Bournemouth take on Crystal Palace in one of the club’s final home Premier League games of the season. Please arrive at the ground as early as possible as there will be 100% searching, so please do not bring a bag to the game unless necessary. It’s the club’s annual Kick It Out fixture, where players will wear t-shirts and plenty will be going on to support football’s anti-discrimination organisation. Here’s a schedule of what opens when prior to kick-off – enjoy the game! Just behind the stadium, the South Stand car park is open for just £1 to all supporters. It does tend to fill up approximately 75 minutes before kick-off and there may be delays in excess of half an hour leaving post-match. Please be aware, you can turn left out of this car park and right at the roundabout, which will bring you out via Gloucester Road in Boscombe. Alternatively, the Sovereign Centre on Christchurch Road, which is also approximately 10 minutes’ walk from the ground, is available for matchday parking for both Saturday and week night games. Parking fees cost just £2 for 4 hours and £4 for 24 hours. Supporters will also be able to use Harewood College for parking, in Harewood Avenue from 12.30pm. Please use the street rather than the college if using SatNav. This parking facility has the advantage of being away from the congestion around Kings Park, while only a short walk to Vitality Stadium, allowing easier access. Available from 11am, the car park will be manned by a steward until kick-off and is free to use. We respectfully ask that all visitors keep to the 10mph and then the 5mph speed limits. There are parking restrictions on many roads close to the ground and the club asks all matchday visitors to please respect these and ensure access to drives and garages is maintained. Residents have direct access to parking enforcement officers on a matchday and so to avoid any issues or fines please respect their access. Tickets for our upcoming away game at Southampton, as well as the home game against Swansea City are available to purchase before the game - the ticket office will also be open for 20 minutes after the game. There are no tickets available for the Crystal Palace game on the day. The Superstore is open from 9am on Saturday, and we will be trading for 20 minutes after the game. The retail pod outside the Ted MacDougall Colmar South Stand will be open at 12pm and after the game too. Don’t miss out on all Umbro replica kit and training wear at 50% off. Want a drink before the game? The 1910 bar is open for home supporters and is located next to the press entrance in the Vitality Main Stand. Supporters are required to show their home ticket on entry. Our outside bar is open for business from 12noon, with last orders at 2.15pm. Situated between the Thistlebarrow Road entrance and the Superstore, it’s a great place to meet friends before entering the ground for a drink and a hot snack. Our North Stand food kiosk opens at midday if you want some food away from the other areas. Our Junior Fanzone is open for young supporters at 12.30pm. There’s plenty going on with an Xbox One, table tennis tables and lots more going on. We've got FIFA 18 for our young supporters to play! As mentioned above, Harewood Car Park opens at 12.30pm. The DC Lounge is open to both home and away disabled supporters pre-match. It is based on the ground floor and first floor in the East Stand for the use of disabled supporters only. This offers Sky/BT Sport TV and a refreshment service, and a great opportunity for supporters to socialise before the match. There is a lift available for supporters using the platform and two accessible toilets. The matchday quiz is a highlight too. Supporters can take their seats from 1.30pm and make the most of our pre-match combo. Choose from either a pie & pint for £5 (not available in the South Stand) or a pie & soft/hot drink for £4, both available up to half an hour before kick-off. The Junior Cherries meal deal remains fantastic value at just £2.50 – just show your JC card at the food counter when ordering, and then enjoy! If you join us early, there’s a prize draw with a signed Callum Wilson shirt on offer and you’ll automatically be entered once your ticket has been scanned. We’ve revamped our big screen so there’s plenty of new entertainment on offer this season. See lots of goals and highlights from our recent memorable wins! Make sure you are in your seats to see our latest Fans’ Champion place the matchball on the Premier League plinth just before kick-off. Fan Champion is new this season and gives supporters the chance to nominate for selected games a fellow Cherries fan they think deserves a special matchday – someone who has achieved something great or is a valued member of the community. Just email [email protected] with your nominee’s name and why you think they should be a Fans’ Champion. We get underway for a big game against Crystal Palace! Supporters are reminded that AFC Bournemouth does not tolerate any abusive or discriminatory language or behaviour and fans are encouraged to contact a steward should they witness this. Alternatively, supporters can confidentially text the support number on 07968 980580 with details. Keep an eye out for half time too, where we’ll have our team relay! With thanks to our matchday sponsors: Medhurst IT, BH Calibration, Style Partitions, Mploy, Faast, Woodmace, and Caleb Developments. AFC Bournemouth welcome Crystal Palace to the south coast this weekend, as the Premier League season approaches its climax. Ahead of the game afcb.co.uk spoke to Robert Warlow, deputy head of sport for the Croydon Advertiser, to preview the game against the Eagles. afcb.co.uk: How would you sum up the season so far for Crystal Palace? RW: I’d say overall, it’s probably below what was expected at the start of the season. That said, after the position Palace were in after the first seven games, they would probably take the position that they now find themselves in. Palace probably had hopes of a decent mid-table finish, but after a slow start they’ve done well to get to where they are. They should have enough quality to see them over the line and I think they’ve shown that in recent weeks against some of the league’s top teams. afcb.co.uk: How important is this fixture for Crystal Palace? RW: Every game is important for them given their league position. It may be an old cliché, but they have to just take it one game at a time. If they can put in performance and get a point this weekend I think that’d be a good result ahead of a big game against Brighton. afcb.co.uk: What kind of approach can we expect to see from Palace? RW: I think it’ll be an open game, with two sides that like to attack. Palace have players in their side with skill and pace and not many defenders like coming up against Zaha and Townsend. They need to try and get the best out of Benteke, who hasn’t had a great season in terms of goals. He’s probably lacking a bit of confidence too, but he can be a real threat. Palace are a team you wouldn’t want to face on the counter. afcb.co.uk: Who are likely to be the key performers for Palace this weekend? RW: James Tomkins has been superb. He missed the recent game against Liverpool, but in 2018 he’s largely stayed injured free and has been a mainstay in defence. Palace are a much better side when he’s playing. The other more obvious option would be Zaha. He’s a standout performance, and when he’s in the side his quality is clear to see. afcb.co.uk: And finally, a prediction? RW: I’m going for a score draw, 1-1. Robert is on Twitter, @robwarlow_cpfc. Jonathan Moss will be the man in the middle for Saturday’s Premier League game against Crystal Palace. Roy Hodgson’s side will be the visitors at Vitality Stadium in a 3pm kick-off. Amongst Moss’ 23 top flight fixtures refereed this season, he has handed out 82 yellow cards, two red cards and awarded eight penalties. This weekend will be his second trip of the campaign to the home of the Cherries, also officiating the 1-1 draw with Southampton in November. However, the 47-year-old has taken charge of three Eagles fixtures this season, the 3-0 defeat at the hands of Huddersfield on the opening day being just one example. On Saturday, Moss will be assisted by Eddie Smart and Andy Halliday, with Kevin Friend the fourth official.